Ask any Disney cast member who works at Disney’s Hilton Head Island Resort what the best part of staying at their resort is, they’ll most likely answer, “the recreation.” Because the resort is located in Hilton Head Island, S.C., hours away from the closest Disney theme park, this resort offers a bevy of unique recreation options that can turn any guest’s stay into a true adventure. Here’s a sample of what Disney’s Hilton Head Island Resort – which celebrates its 15th anniversary this week – offers to guests. Nature lovers can enjoy fishing, crabbing, biking, kayaking, kids’ nature classes, dolphin tours, and marsh walks. Creative guests can make their own vacation souvenirs at instructor-led craft classes that include tye-dying and gyutaku (fish stamping). For guests in need of relaxation, there are in-room massages, swimming, and hammocks to curl up in – not to mention the nearby Disney’s Beach House, which offers a children’s water play area, additional swimming pool and beach access. Evening fun includes campfires complete with songs, stories and smores. Back at the resort’s Live Oak Lodge, kids can don pajamas and gather for a group bedtime story that ends with complimentary milk and cookies. 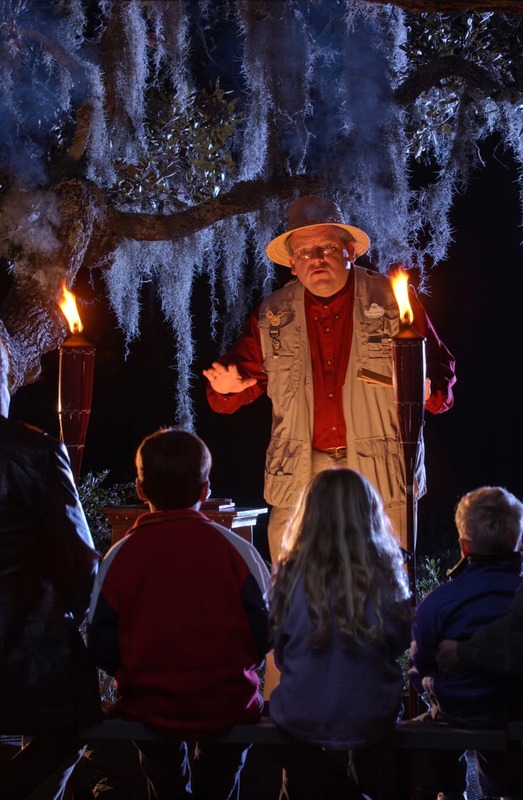 One evening activity I highly recommend is B’Lou Crabbe’s Tall Tales, in which the resort’s resident folklore expert recounts some of the area’s spooky happenings in spellbinding detail. 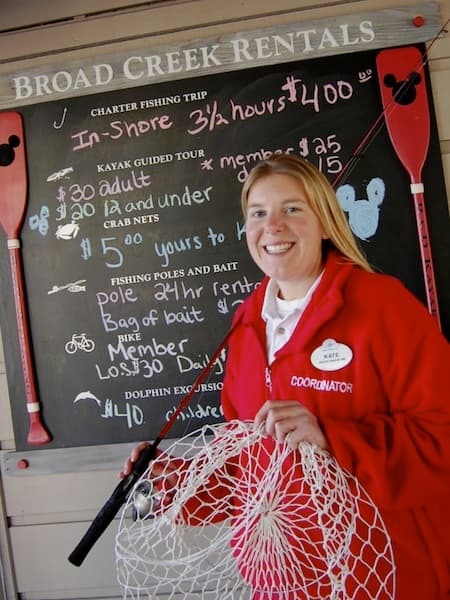 To learn more about what this Disney Vacation Club destination has to offer, click here. And I say: Ask any guest and they’ll most likely answer, the Cast Members! Hilton Head Island has some of the best golfing in the world. While I know that Disney Hilton Head Island Resort doesn’t have its own course does guest services help secure tee times at any or all of the courses on the island? Thomas, I must agree that the cast members at Disney’s Hilton Head Island Resort make the experience even better. That was my family’s experience on our recent vacation. Mark, the resort has a close relationship with the nearby Palmetto Dunes Resort, which operates three local courses. The Front Desk will arrange tee times there, or assist guests with contact info and directions to other courses. Hope this helps. 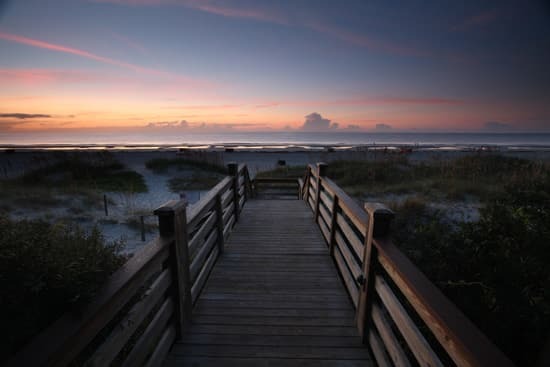 Is the Disney Resort on Hilton Head only available to Vacation Club members? We would love to visit but are not members…nor can we afford to be at the present time. My wife’s family goes to Hilton Head every year and though we’ve never stayed with Disney, my wife and I can never resist taking a stroll through the grounds. It’s beautiful! It’s also a short walk around the beautiful harbor to Shelter Cove where there is shops and restaurants and some great family entertainment. Now that I think about it, as much time as we spend at WDW and Hilton Head, it’s high time we became DVC members. Michael – Good news. You do not have to be a member of Disney Vacation Club to stay at the resort, although I do believe DVC members get a small member discount on some recreation offerings at the resort. Hey Kate We hear your really neat, Show us how you do thar cheeky cheeky beat!!!! Right Side….The Cast members especially Kate are what makes this the best kept secret of DVC!!! Looking forward to seeing all of the cast members later this month and maybe even celebrating a birthday with Kate again. We love you HHI cast members!!! Put another smore and campfire song on for us!!! See you real soon. Hey Michael on March 5th! Yes, you can stay there w/o being a DVC member. We did the first time in October 2003. It was cooler and they did not have as many activites because of the season but we did do the campfire with songs and s’mores and Goffy bingo! My son won a chocolate bar because he remembered the name of Alice’s cat. (Dinah! The cast members were great!We went two more times. After we joined DVC we went back in May 2009 and enjoyed the “Welcome Home” and the BEST low Country Boil ever!! Been members since 2007 and never have regreted it!